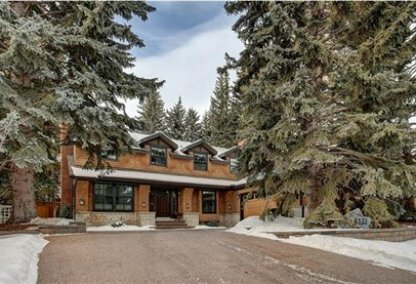 Browse today's newest Bel-Aire homes for sale in Calgary! Located to the east of Glenmore Reservoir and Elbow River is the picturesque neighborhood of Bel-Aire. Discover the hottest Bel-Aire real estate for sale now! Schedule a guided home or condo tour with your Bel-Aire Calgary real estate agents today. Bel-Aire housing market statistics: As of April 25, 2019 there are currently 6 properties for sale in Bel-Aire listed as active, with an average asking price of $2,301,150. The highest-priced property is $3,298,000; the lowest priced property can be purchased for $1,699,900. Bel-Aire neighbourhood listings have an average price of $531 per square foot, based on listings with 4.2 bedrooms, 5.3 baths, and 4,399 square feet of living space. Thinking of selling or buying a home in Bel-Aire Calgary? Call Justin Havre at RE/MAX First - 403.217.0003. Our community of Bel-Aire real estate agents will help you navigate the Bel-Aire housing market in Calgary. 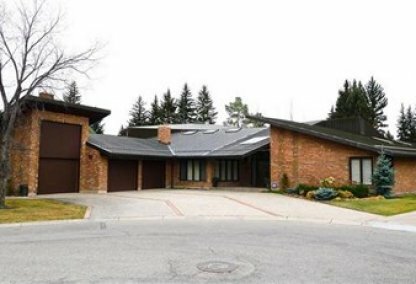 The community of Bel-Aire was amalgamated to the City of Calgary back in 1954, and underwent significant urbanization developments during the 1960’s. Purposely designed with plenty of open space within the neighbourhood, and located at a comfortable distance from the lively downtown area, this residential area provides home owners with serene living conditions, which is further enhanced with scenic views of the city, Glenmore Reservoir, and the Rocky Mountains. Residential properties, dating from the year the neighbourhood was first founded, focus entirely on single-detached dwellings. As of 2006, Bel-Aire had amassed a total population of 494 individuals. Although low in comparison to other neighborhoods, such population figures are to be expected, considering how this community's homes are rather luxurious - making it quite the commodity. The Bel-Aire neighbourhood is perfectly-situated to provide a wealth of amenities to residents. Aside from featuring some of the most beautiful houses within the entire city, Bel-Aire’s location is what really makes it a popular choice amongst first-time and veteran home buyers. Home owners also get to enjoy the convenience of local recreational activities, thanks to its proximate location to Glenmore Reservoir, which is home to the Glenmore Sailing Club. In addition to this, the nearby Glenmore Park is a popular choice amongst residents looking to host picnics and unwind with loved ones. Other than being within walking distance of a variety of diners, Bel-Aire homes for sale are only a short drive away from Chinook Mall, which features over 350 stores that’ll provide every shopper with everything they’ll ever need to purchase to get by on a daily basis. Within the Bel-Aire community’s close proximity are a number of respectable public and private schools, such as Elboya & Chinook Elementary, Henry Wisewood & Western Canadian High Schools, Augustine Elementary, and Bishop Grandin. Thinking of buying or selling a home in Bel-Aire Calgary? Let our local real estate agents help guide you through the purchase of your next property, or to professionally negotiate the sale of your current home. As local Bel-Aire real estate agents, we're experts on the market dynamics unique to the Bel-Aire real estate. We'll get to work today! Contact Justin Havre at RE/MAX First - 403.217.0003 to learn more about buyer or seller representation. Planning to sell your Bel-Aire home? Check out our home evaluation tool, where you can instantly view Calgary Homes Values online!